Cont-Accepting back up offers. 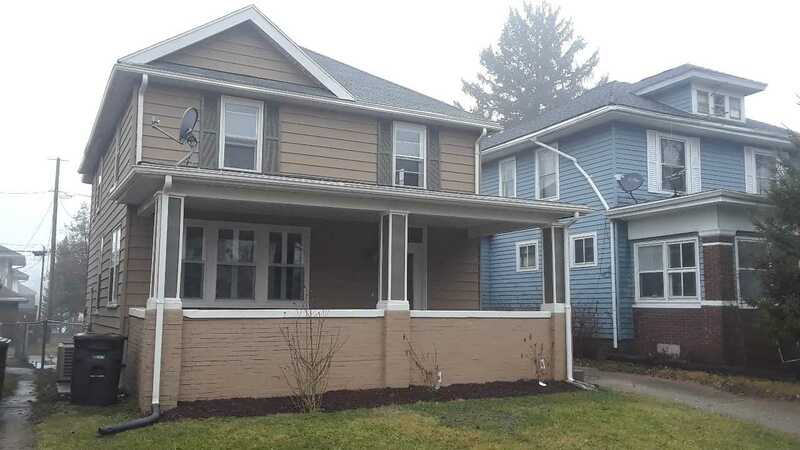 Come see this really nice spacious updated two story home. This is a great open floor plan with a lot of natural light from the big windows. Relaxing covered porch out front adds to the curb appeal of this home which will make any homeowner proud. Fenced in back yard. Numerous updates include remodeled baths and the Kitchen as been completely redone with new cabinets and countertops. Newly painted inside and out and new flooring throughout the entire home. Wait until you see the huge bedrooms upstairs. Nice commons area on the second floor makes for a nice work or play area or a 5th bedroom. There is a bedroom on the main that is perfect for guest or in-laws or for anyone who wants a bedroom on the main floor. Central Air system is 6 years old. Seller is providing a one year home warranty and a $1500 appliance allowance. Directions:Rudisill Ave to Arlington Ave go south home is on the right. SchoolsClick map icons below to view information for schools near 3940 Arlington Avenue Fort Wayne, IN 46807. Listing provided courtesy of Daniel Quintero, Trend Realty, LLC.